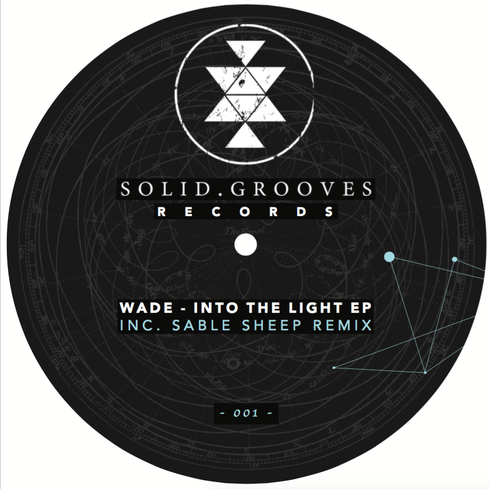 Spanish producer Wade inaugurates the Solid Grooves label with three animated house cuts, featuring a remix from Germany’s Sable Sheep. Originating in London where it has apparently established itself as a hugely popular party series before expanding into Europe with showcases in Ibiza, Sonar Barcelona and ADE Amsterdam – Solid Grooves now introduces itself as an auspicious house and techno imprint. Initiating the label’s discography is Wade, a burgeoning producer in his early-20s who’s been dropping releases on the likes of Suara, Lost Records and Moan. First up, ‘Into The Light’ marches forward with cavernous kicks, echoing vocal samples and an intricate hook, before ‘Showtime’ delivers a thunderous low-end joined by shuffling hats and twisted sounds. Things get rhythmic in ‘Throwin’ Down’ with syncopated percussion and a punchy snare, until Sable Sheep, who’s known for releases on Moon Harbour, Be As One and Desolat, alters the title track with his trippy synths and drum work.